Flip Out Mama: Get The Parenting Answers With A Great New Book By Dr. Tanya Altmann!! Get The Parenting Answers With A Great New Book By Dr. Tanya Altmann!! You guys. Seriously. I can not believe that it has been so long since I had a baby in the house! It's crazy, really it is. I recently got a review copy of a great new book for new parents to pass on to my sister for her upcoming baby, and it really got me thinking. It really took me back to the days when my oldest on was born, which has now been close to 12 years ago! As most of you know, my parents passed away when I was a teenager. As for extended family, I have spent most of my adult life with no extended family to speak of, aside from my wonderful family that I inherited a few years ago from my husband to be! Needless to say, this made for a very stress inducing and scary time for a 20 year old brand new first time mama. Actually, this is where the name "Flip Out Mama" came from, the exaggerated and extra large freak outs that I would have from time to time (ok, all the time!) as a brand new mom. With no one to call, no one to ask, and no freaking clue what I was doing, those first few years of mommyhood where quite stressful. I remember being super stressed about knowing whether my baby was hot or cold. Did he need socks? Did he need an extra jacket or blanket? Or was I actually burning him up and he was secretly wishing I would take the damn blanket off? UGH, so hard to know at the beginning! When my little guy was 4 months old, I noticed a bulge in his little belly when changing his diaper. It turned out to be a hernia, but did I know that at the time? Absolutely not! It would have been SO nice to have a resource to turn to, no matter the time of the day or night, to answer those pressing and sometimes embarrassing to ask questions. That's why I'm really excited to share this new book with you guys. 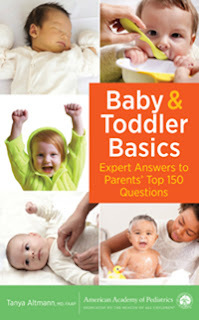 It's called "Baby And Toddler Basics: Expert Answers To Parents' Top 150 Questions", and it's written by Dr. Tanya Altmann, who is a renowned practicing pediatrician who founded Calabasas Pediatrics and an assistant clinical professor at Mattel Children’s Hospital at UCLA. She is an American Academy of Pediatrics spokesperson and is the author of several books. 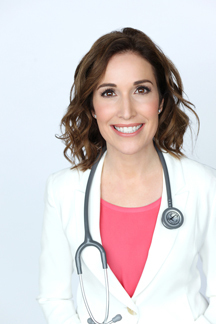 Dr. Tanya is a top-selling author and contributes her expert advice to leading media outlets including the TODAY Parenting Team, Live with Kelly, The Doctors, USA Today, Parents, Real Simple, Redbook and dozens of other media outlets. She lives in Los Angeles, CA with her husband and 3 sons. I was really excited to check out this book, and to pass it on to my sister, who is expecting her first baby. 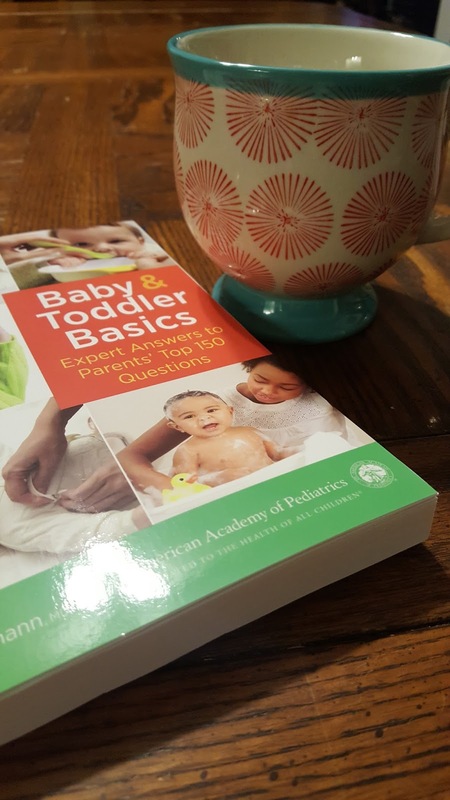 Even though she has way more in the way of "a village" than I did when I was a new mommy, I am still excited for her to have this great resource at her fingertips when she is in the trenches of new mommy-dom! This book is super cute, and has a ton of great information in it. I love that it is all laid out in easy to read Q&A form, and it's super easy to find what you are looking for. The book covers the basics, from basic baby care, to the ever popular poop questions, to what to do when kids are sick, sleep issues, and more. It really is a great read, and a great resource for moms (and dads too!) to have on hand for those times when you really don't know what the heck to do! This is a really great asset for new mommies, and if you know someone who would benefit from such a great book, definitely check it out HERE!